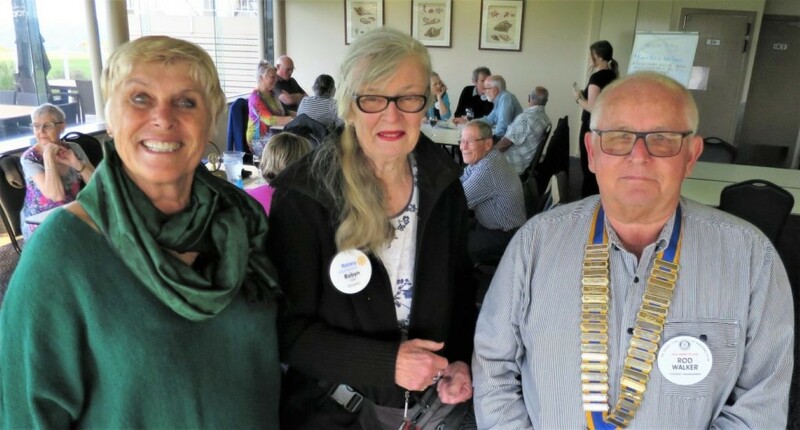 November 2018 – Narooma Rotary Club Inc.
Noel Trevaskis OAM is always an inspiring speaker and as our special guest last week he did not disappoint. 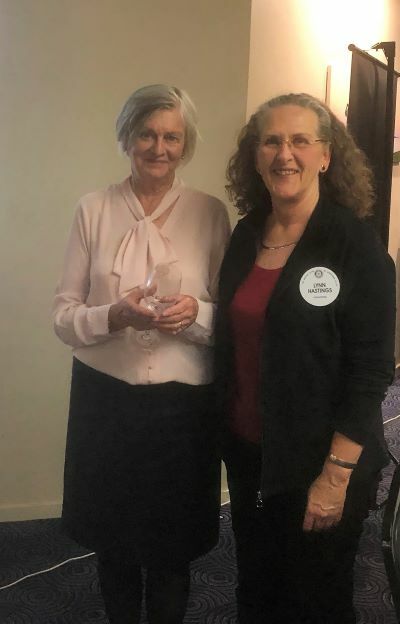 Lynda Ord did her research well for her task of introducing Noel, listing his extraordinary achievements over 21 years in Rotary. Most recently (2016-2018) he was the Director on the Board of Rotary International representing Australia, New Zealand, Philippines, Indonesia and the South Pacific Islands. It was fascinating to hear from Noel about ‘the process’ of RI Board meetings extending sometimes over two to three weeks. The papers to read before these meetings were usually over 600 pages. However, Noel particularly struck a chord with many of our members when he spoke about membership. He said there has been a dramatic drop in membership in Australia and New Zealand as well as an increase in age, and a ‘turning over’ of members about every 10 years. In contrast, he said places like India ,Asia and Africa have had a tremendous growth in membership, largely because of ‘the status’ of being a Rotarian. Noel said unfortunately in some places this has occasionally led to corruption to secure executive positions in clubs. So, his suggestions on how to retain members? Don’t focus on fundraising, but rather on community service. Noel said people join Rotary because they want to do something for their community, meet new people and make new friends, not to raise funds. Look for good community projects. Be more inclusive of everyone at a meeting. Don’t always sit with the same people. This in particular prompted discussion among members. We also welcomed Eleanor and Geoff Robin’s friends to our meeting. Bob Aston toasted the Rotary Club of Aston in Birmingham – obviously trying to find his roots in ‘the Mother Country’ in preparation for his next trip overseas. The RC of Aston meets over lunch every second and fourth Wednesday of the months at the Aston Villa Football Club. Bob noted that Birmingham also has Aston University in the city centre. It began as the Birmingham Municipal Technical School in 1895,evolving into the UK’s first College of Advanced Technology in 1956. The University today includes medical, business and engineering schools. Frank and Rolf discuss the intricacies of our tokens for the wheel. At last week’s meeting we welcomed our newest member Robyn Miller. We look forward to getting to know Robyn more over the coming months and sharing with her our dedication to the ideal of ‘Service above Self’. We also had our Board meeting and Assembly last week. I would like to share with you important outcomes from the Board meeting. Firstly, the Board agreed to my suggestion to run a President’s Raffle from February 2019. My very clever wife Jennifer has made a quilt and tickets will be sold up to and including the Changeover on 27 June. Support IRT’s proposal to build a pathway from the bus stop on the corner of Mort Avenue to the top of Ruth Place, parallel to Club Dalmeny. On the fundraising front we will investigate the viability of a BookFair. It was wonderful to have former member Enid Holmes with us last week. She said she may not be back for a while. Our thoughts are with Enid and Colin. 7 February first meeting for 2019 – Youth Night. THIS THURSDAY: Our own Eleanor Robin is our guest speaker. After a lengthy career as journalist and writer, in retirement Eleanor resumed her study of Australian history. She was awarded a doctorate from the University of Tasmania in 2017. 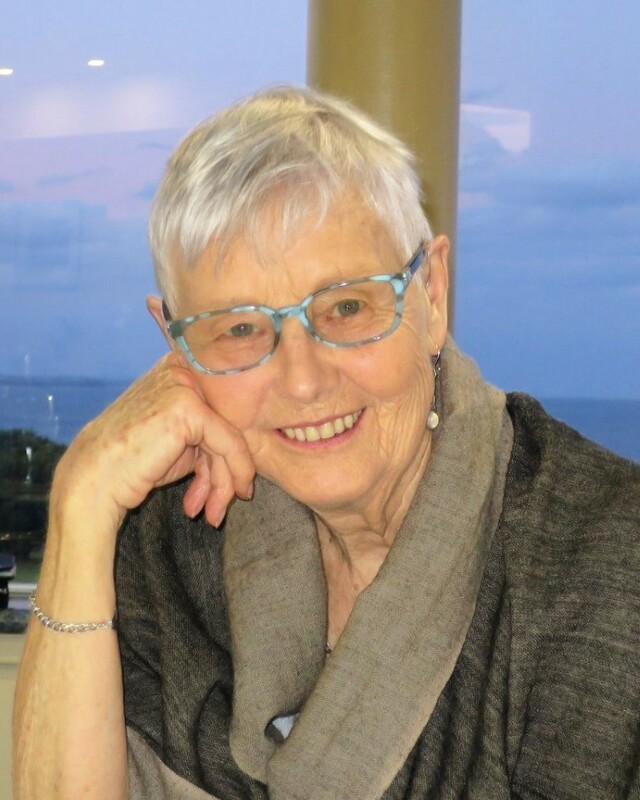 Based on her thesis, she has written the biography Swanston – Merchant Statesman, launched by Professor Henry Reynolds in Hobart in August. Eleanor has revived Swanston’s remarkable story from a treasure trove of bank archives, and highlighted his considerable contribution to the economic, political and social life of Van Diemen’s Land and his leading role in Melbourne’s settlement. Should be interesting. 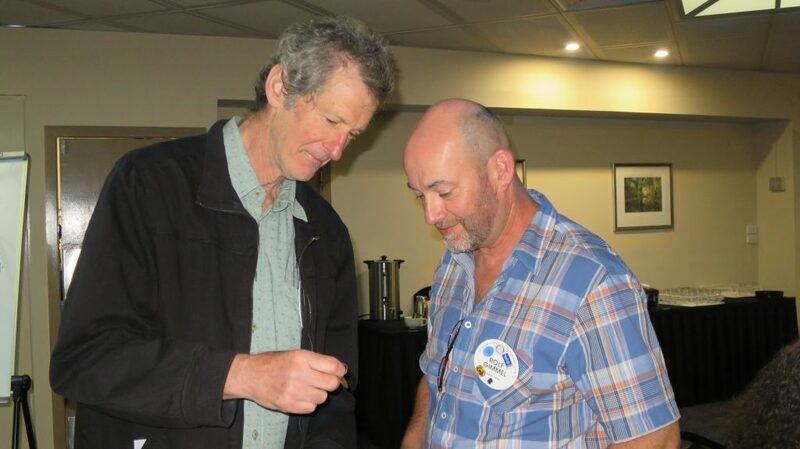 Moruya Rotarians recently farewelled PP Geoff Fleming. President Ward Hack said ‘It would be wrong to describe his send off as a funeral’; many stories were told of how Geoff was ‘sharp as a tack, generous and funny to the end’. Rotarian Peter Wood OAM spoke last week about his role as Chairman of the Batemans Bay Youth Foundation Inc (BBYF), launched in 1994. It is probably the largest educational charity in Southern NSW. Since 1994, it’s given 195 students grants totaling $593,500. Its mission is to assist Batemans Bay youth to pursue personal development and advancement in their chosen field. Peter paid tribute to PP Alex Taylor OAM who negotiated a partnership with Batemans Bay Soldiers Club and the RSL Sub-Branch which continues to this day, with control residing with Rotary. Bega Rotarians are working towards their annual Summer Book Fair which is on 11-13 January at Bega Showground Pavilion. They expect to have over 30,000 books for sale, many left over from their Winter Book Fair. They have two drop off points in Bega, and have EFTPOS facilities. With our Board looking at the viability of a Narooma Book Fair, might be interesting to see how Bega does it. If you haven’t already seen it, do check out the current exhibition in the SoART Gallery by Narooma Historical Society: ‘Narooma Remembers 1918-2018 – Brave Hearts and Smiling Faces’. It’s being very well received around Narooma. 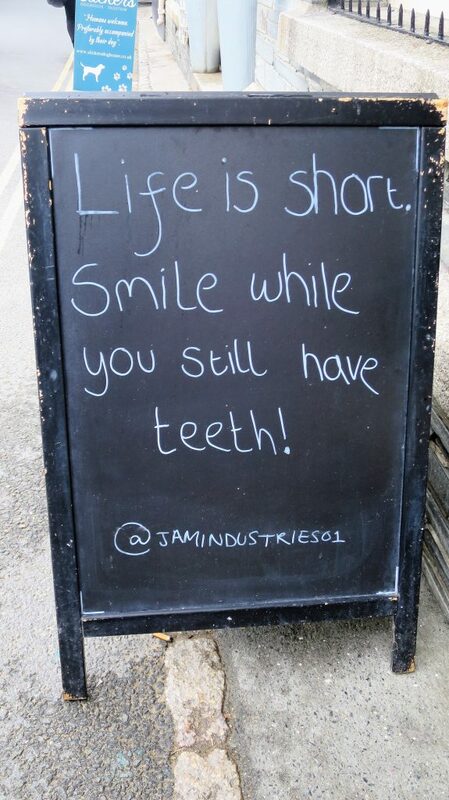 It’s on every day until the 19th, 10am-4pm. It ends at noon on the 20th. Firstly thanks to Peter Bull for editing the Beacon in Laurelle’s absence and dealing with some frustrating technical issues along the way. Welcome back Laurelle and Ange we look forward to hearing about your travels in the future. Our meeting this week will be an assembly. I am discussing with the Board some ideas for fundraising and community activities for the last half of this Rotary year and will report back at the meeting on what we have in mind. I also found this extract from the the Moruya Examiner of 6 April 1918 which I think encapsulates the sacrifices being made by the young men of Australia including Narooma. On Tuesday last, March 26th, Narooma was in Festal array, the occasion being the home-coming of Lance-Corporal James Anderson, D.C.M., who has been on active service for the past two years in France, having been wounded twice. On the first occasion he greatly distinguished himself although wounded, and on the second occasion he received a knock-out which necessitated his being invalided home, and is now an inmate of the Randwick Military Hospital, where, I understand, he has to undergo an operation, having lost one of his eyes, hence he was granted a few days leave to come home and visit his friends and relatives. Word was only received late on Monday evening by his father that he was coming home via the s.s. Merimbula, so the citizens were early astir on Tuesday morning making preparations for his reception. Can I ask that if you are not attending a meeting or are bringing guests that you advise Secretary Bob ASAP. Last Thursday President Rod was busy scribing in Canberra, so VP Laurelle was in the chair ( I think she was still getting over a bit of jet lag!) we spent a bit of time catching up with Laurelle and Angie about their travels as well as discussing options to improve our membership. Secretary Bob also gave a quick demonstration of the RI website, Ry Rotary and donations to the Foundation. 11 members were present along with our regular guest Iris. We missed John and Sandra as John was recovering from his second cataract operation. Rolf was absent celebrating his birthday with friends and family. Come and be inspired by amazing young musicians performing at Four Winds. Young, talented musicians from the Sapphire Coast will perform with the Western Sydney Youth Orchestra and The Australian Voices in concert on Sunday 18 November 11.00am to 2.30pm at Four Winds Nature’s Concert Hall (Windsong Pavilion and Sound Shell). The three-day Inaugural Four Winds Youth Music Festival will climax with this very special event on Sunday 18 November. Concert tickets are $30 for adults, children 16yrs and under are free. The concert will begin at 11.00am in the Windsong Pavilion. From 1.15pm the focus of the performance will move to the sublime setting of Nature’s Concert Hall after a 45-minute, extended interval/lunch break. Once the music begins again, the Festival will present wonderful repertoire performed by the Western Sydney Youth Orchestra and The Australian Voices. They will be joined by local musicians and choristers who will sing and play alongside these magnificent ensembles – a very special opportunity for the South Coast’s young people. If enough members are interested Four Winds can organise a group booking for us. If you are unable to attend a dinner meeting or if you are bring a guest PLEASE advise the secretary by 4:30pm on the Tuesday before the meeting. Please remember if no advice is received it will be assumed that you are coming to the dinner.